If you take a look at Venezuela's historical oil production chart, you can see that production is clearly decreasing since 2000. There is a clear correlation between Chávez' presidency and the continuing decrease of oil production. Chávez first presidential term lasted from 1999-2000, his second term from 2000-2006, his third term from 2006-2012 and possibly his fourth term will be from 2013-2019. Venezuela officially nationalized its oil industry already on 1 January 1976, when Venezuelan state-owned petroleum company Petróleos de Venezuela S.A. (PDVSA) was born. Back then all foreign oil companies that once did business in Venezuela were replaced by Venezuelan companies. In 1999 PDVSA was already very inefficient and even more inefficient than other state owned oil companies in the world. It had twice as much administrative workers than needed, was heavily overstaffed and had extensive use of outsourcing and sub-contracting. Because only 36% of PDVSA's revenues in 2000 went toward the government, Chávez focused primarily on PDVSA's revenue contributions to the governments budget and not that much on increasing production. Until Chávez came in power PDVSA was primarily focused to produce as much oil as possible. Chávez introduced several measures to boost revenues. He decided that ten percent of PDVSA’s annual investment budget was to be spent on social programs. In 2001 oil royalty payments were nearly doubled to 30% of the price at which every barrel is sold. At the same time, the government lowered the income tax levied on oil extraction from 67.6% to 50%. This was done because it is much easier for the government to collect royalty payments than it is to collect taxes on oil income. As a result of this PDVSA would face a strong incentive to make its operations more efficient. Chávez also replaced the entire board. Eventually in 2002 Chávez ran into conflict with the management of PDVSA and argued that what PDVSA needed was a complete re-nationalization because it had become too independent of the state and had turned into a “state within a state”. In December 2002, PDVSA officially went on strike creating a near-complete halt on oil production in Venezuela. The government ended up firing 19,000 PDVSA employees and doing so it was losing valuable skills and experience. They were replaced with workers loyal to the Chávez government. 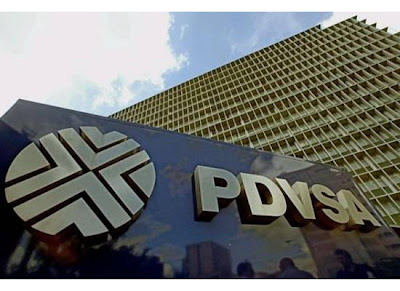 In the years after the 2002/2003 strike, PDVSA suffered seriously from the brain drain; experienced lack of capital to invest; had to diversify into unprofitable food stores and other social programs through subsidiaries; accumulated huge debts; suffered severely from corruption and thefts. Oil production service companies did suspend operations frequently because of unpaid bills. Also because of the high royalties and taxes (and even back-taxes) in Venezuela it is practically impossible for foreign (minority) partners in PDVSA joint ventures to invest in the use of secondary recovery techniques that are badly needed in the Maracaibo basin, and in the great majority of cases it will not be possible to recover the investments made. A good portion of Venezuela's oil is being delivered at subsidized prices/loans to ideologically friendly countries through PetroCaribe/ALBA. Because of highly subsidized prices of oil products like gasoline on the domestic market, PDVSA can't make a profit either on the domestic market. In fact PDVSA is giving away gasoline and diesel to gas station owners for free since October 2011, where it's sold for 10 dollar cents per gallon (no typo). Understandably lots of gasoline and diesel are smuggled to Colombia. So it's obvious that PDVSA has got no capital for increasing or even maintaining oil production levels. It has become heavily dependent on foreign investment. However expropriations of foreign companies in the oil industry that were tempted to invest in Venezuelan oil production still continue, without or without full compensations. Unnecessary to mention that PDVSA has very little budget to protect precious ecosystems or to monitor and combat pollution. Venezuela has 77.5 billion barrels of conventional oil reserves mainly in the Maracaibo region according to PDVSA figures. The Maracaibo basin contains slightly less than half of PDVSA’s oil production. The fields in this area are very mature, requiring heavy investment to maintain current capacity. Besides the reserves of conventional oil, which is easy to extract and to refine, Venezuela has large reserves of tar-like ultra-heavy crude oil in the Orinoco Belt region. According to a USGS 2010 survey, the Orinoco Belt alone is estimated to contain 900–1,400 billion barrels (2.2×1011 m3) of extra heavy crude in proven and unproven deposits. Of this, the USGS estimated that 380–652 billion barrels (1.037×1011 m3) could be technically recoverable (which isn't the same as economically recoverable), which would make Venezuela's total recoverable reserves (proven and unproven) among the largest in the world. The technologies needed to recover ultra-heavy crude oil are difficult and expensive and depend on viscosity, depth, and density. After the ultra-heavy crude is extracted it is mobilized with diluent and transported to upgraders where it is upgraded to feedstock quality for refineries. Blending in lighter crude into the heavy crude was usually done before export to refineries. Since 2004 4 upgraders located at the Jose Industrial Complex in the Venezuelan oriental coast also became operational. They improve the quality and gravity of the Orinoco Belt production from 16 degrees to 32 degrees API for further marketing to refineries around the world. The upgraders accept extra-heavy sour crude oil mobilized with diluent (high in sulfur compounds and carbon) and processes it by the use of a combination of diluent removal and recycling, hydrocracking, high-temperature gasification processes, desulfurisation and coking. The final products are syncrude (API 25.9°), coke (high carbon) and sulfur. 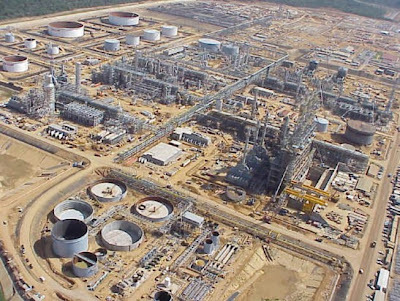 Unfortunately for the foreign investors, these 4 upgraders at the Jose Industrial complex were partially expropriated by Venezuela as a result of the 2001 Hydrocarbons Law. It is still questionable if the owners will ever be fully compensated. Upgraded Venezuelan heavy crude (syncrude) needs still to be refined in special refineries. It needs further desulfurization and hydrocracking. Venezuela sends a large share of its oil exports to the United States because geographic proximity enhances export profitability and because refineries on the U.S. Gulf Coast are specifically designed to handle heavy Venezuelan crude. Venezuelan crude and syncrude is preferably refined in refineries where PDVSA has a major or minor equity position. These are located in Venezuela, the Caribbean and the US (CITGO). Some of the refineries where PDVSA has partial equity are not provided with sufficient Venezuelan syncrude. In August 2009 Conoco said PDVSA had failed to deliver syncrude oil as contracted to the Sweeney TX plant since the beginning of the year. PDVSA has a 50% interest in a coker at the Sweeney plant. Still a considerable amount of Venezuelan heavy crude is refined in refineries in the US where PDVSA has no equity position. PDVSA presently has a theoretical production capacity of 4 million barrels (640,000 m3) per day, however OPEC and the EIA put Venezuela's current output around 2,1 mbpd. Venezuela produced well above its OPEC quota before the 2002/2003 strike, after the strike it produced well below OPEC quota until 2005 and since then OPEC production quota have been downward adjusted because of decreasing production capacity. While it would require significant amounts of capital investment, Venezuela could potentially increase production capacity. In the past PDVSA made plans to boost production to 5 mbpd for 2015 and 6.5 mbpd for 2020. Never the less PDVSA has not demonstrated any capability to bring new oil fields on-stream since nationalizing heavy oil projects in the Orinoco heavy oil belt. China is moving forward with plans to construct a refinery that can process heavy Venezuelan crude. So Venezuela still needs the US to purchase and refine its heavy crude oil and the US needs Venezuelan oil because it can't do without yet. Both countries would like to end their dependencies to each other, however Venezuela still needs the US more than the US Venezuela. US Venezuelan crude imports have decreased rapidly from 2004 (569 million barrels) to 2010 (361 million barrels), compensated by equally increasing Canadian oil imports. TransCanada Corporation is deploying a pipeline system "Keystone XL" that will transport syncrude oil and diluted bitumen from Athabasca Oil Sands in northeastern Alberta, Canada, to refineries in Illinois, Oklahoma and Texas. When Keystone XL becomes operational Texas refineries that are presently producing well below max. capacity because of decreasing Mexican and Venezuelan syncrude feed stocks, will be able to produce at max. capacity again. It seems almost impossible to turn PDVSA into an effective and efficient oil production company as long as it remains state owned. Venezuela needs to sell large quantities of yet un-extracted oil in return for loans to balance its national budget and Chávez' Bolivarian financial expenses. In an economy that depends that much on oil profits, Venezuela needs to be open to private investment, not only for the oil sector of its economy, but also for its overall economic well-being. The only option for Chávez not to go bankrupt and/or to be overthrown seems to be to privatize PDVSA, settle and/or compensate all expropriations, lowering oil royalties to 16% again and auction large parts of the Orinoco belt to foreign investors. But I guess this will never happen as long as Chávez will be president. Why are there still foreign oil companies that are willing to invest in Venezuela, despite the on-going expropriations and meager compensations? Because they think that Chávez and his Bolivarian revolution will not survive the next elections, he may die of cancer soon or he may be overthrown. When that time comes it's very attractive and profitable to have significant presence in the country already. You won't find a state owned oil company like PDVSA and all its related problems in Colombia. None of this all. However, Colombia has also a 80 percent state owned oil company named Ecopetrol S.A.. In 2003, the Colombian government restructured Ecopetrol, in order to internationalize it and make it more competitive. Since 2003 Ecopetrol S.A. received more autonomy and was able to accelerate its exploratory activities, to develop a commercial vision and to improve its competitiveness. So Ecopetrol S.A. is quite the opposite of PDVSA. The only problem that prevented an increase of Colombia's oil production in the past was the domestic conflict between the FARC-EP, AUC paramilitaries and National Army that made explorations and oil production impossible because of security reasons. Exploration activity in Colombia has been constrained by the reach of the security apparatus of the Colombian state. There's been improvement on that front recently and exploration is moving into new areas. The most immediate output potential and new finds are expected to be in the heavy oil basin located in Meta and Vichada departments. The largest field in the country is the Rubiales field, located in Meta department. In the medium term when FARC-EP has been defeated in areas such as Choco, Putumayo and Caqueta, exploration can start and will become successful. Many of the in 2003 fired PDVSA engineers went to Colombia to look for new employment and are helping now to boost Colombia's oil production. There are 18 sedimentary basins in Colombia, covering a total of 1,036,400 square kilometers with about 200,200 square kilometers (20%) under actual exploration and production activity. Only seven of these basins have so far seen commercial oil production: the Upper, Middle, and Lower Magdalena Valleys, Llanos Orientales, Putumayo, Catatumbo, and Guajira basins. The hydrocarbon resource potential of these seven basins is estimated to be 26 billion barrels of oil equivalent, while the potential of the remaining eleven basins is estimated to be 11 billion barrels of oil equivalent. Colombia's proven reserve is only 2 billion barrels yet. Colombia's oil production has increased steadily over the past few years, from 588,000 barrels per day in 2008 to 930,500 barrel per day in June 2011. Colombia Oil production should hit 1.1 million barrels of oil per day by the end of 2012. The United States is the largest destination for Colombia's oil exports. In 2010 US crude imports from Colombia have increased rapidly from 2004 (64 million barrels) to 2010 (133 million barrels). There is a downside to this story though... Oil companies have paid AUC paramilitaries for "security services" and to protect their investments. In return AUC has also cleansed exploration and production concessions of small farmers for the benefit of the oil companies. These small farmers often became displaced persons. AUC did protect the oil industry's investments and often killed innocent people as "collateral damage". Indigenous peoples like the U'wa Indian community in Colombia's Sierra Nevada de Cocuy are threatened with cultural destruction and environmental disaster. Environmental damage in lots of precious rain forest areas seems inevitable.